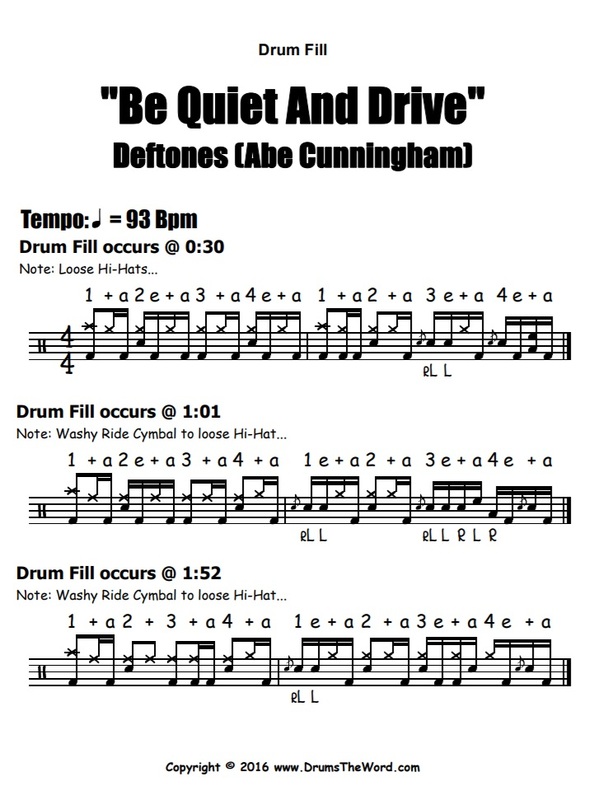 In this free video drum lesson, I want to show you how to play three of my favourite drum fills from the song “Be Quiet And Drive” by Deftones, featuring the drumming of Abe Cunningham. All three drum fills could be described as linear in style and feature Abe’s signature hard hitting style…lots of flams and powerful single strokes! 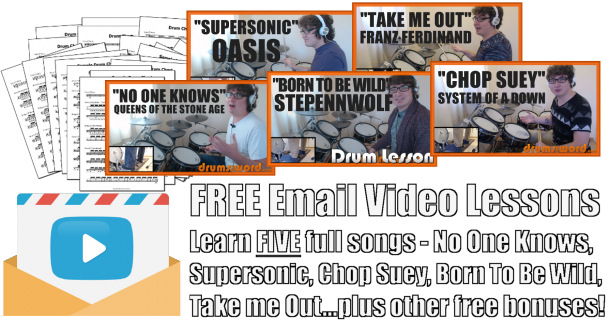 These fills can be used in many other styles of songs so feel free to experiment and maybe incorporate your favourites into your own playing.